Get more time outdoors and a healthier lifestyle while you help care for local nature reserves, learn new skills and meet new friends! Join this midweek team and take part in a variety of hands-on tasks maintaining the Trust's nature reserves in Warwickshire, Coventry and Solihull. Have fun, socialise, keep fit, enjoy fresh air and gain new skills. The groups meet at 9am Tuesday, Wednesday and Thursday at Brandon Marsh and returning by 4pm. Transport to different reserves is provided. You can meet the group at the reserve but tell us in advance so we can advise of parking and meeting point. There are often late changes to the schedule. No minimum commitment required and no experience is needed. Tools and training will be provided. Just bring waterproofs, boots and a packed lunch - we'll provide hot drinks and biscuits. Scroll down to download the role guideline. Interested in Nature Force? Fill in our quick contact form. Locations and tasks for Nature Force are on the Nature Force schedule. Read our Nature Force and Friday Force Role Guidelines below. Survey Force Volunteers carry out wildlife recording helps us to record everything from butterflies and birds, to bats, otters, water voles, flowers, trees and more. Read our Survey Force Volunteer Role Guideline below. Survey Force dates are on the Survey Force page. Interested in Survey Force? Fill in our quick contact form. Some reserves have a regular local group of volunteers that undertake a variety of tasks. Sessions are led by an experienced volunteer group leader. Sessions take place throughout the year, with more sessions during the winter months. No minimum commitment required and no prior experience needed, as full training is provided. Please bring waterproofs, boots and a packed lunch. Tools and safety equipment will be provided. Sessions run on various days at various times. Read our Local Reserve Group Volunteer Role Guideline below. Interested in joining a local group? Fill in our quick contact form. Run sessions with a group of volunteers at their local reserves on a regular basis. Liaising with the Director of Reserves and Community Engagement to produce and plan a schedule of work for the reserve to ensure that the sessions are conducted in a safe environment. Knowledge of your local nature reserve is beneficial, although not essential. Previous habitat management experience is not required tools, safety equipment and training will be provided. Read our Local Reserve Group Volunteer Leader Role Guideline below. Interested in becoming a group volunteer leader? Fill in our quick contact form. Be the eyes and ears of Warwickshire Wildlife Trust on the ground by visiting your nature reserve regularly and reporting back any interesting sightings, vandalism, fly tipping, site safety issues or any other significant behaviour. What do Reserve Rangers do? Read our Reserves Ranger Role Guideline below. Interested in becoming a Reserves Ranger? Fill in our quick contact form. Join us to get stuck in with practical habitat management and surveying in this beautiful area. We are running weekly volunteer days every Friday and alternate Tuesdays. Meet at Brandon Marsh Nature Centre, CV3 3GW, 9.30-15.30. Tasks include hedgerow restoration, coppicing, meadow management and wildflower surveying. This project works in Wappenbury Wood, Ryton Wood and across partner sites including Coombe Country Park and Ryton Pools Country Park. Find out more about the areas you can volunteer in. Interested in becoming a Dunsmore volunteer? Fill in our quick contact form. Read our Dunsmore volunteer role guideline below. The Sowe Valley Project has now finished. However, the Friends of Sowe Valley are still running the volunteer days to help keep the River Sowe clean and wildlife friendly. See dates for 2019 by following the group on Facebook. The day to day management of Brandon Marsh Nature Reserve is carried out by the Brandon Marsh Voluntary Conservation Team (BMVCT) consistent with the current Brandon Marsh SSSI Management Plan. The Team has a work party at Brandon Marsh every Thursday throughout the year starting at 9.30am. Find out more about the BMVCT. Read the BMVCT volunteer role guideline below. Helping improve the fragmented and degraded landscape of the Tame Valley, conserving and restoring natural heritage features. Tasks will include woodland, wetland and grassland management, removal of invasive non-nature species, wildlife surveying, bird box making and litter picking. We also have opportunities for Youth volunteers. 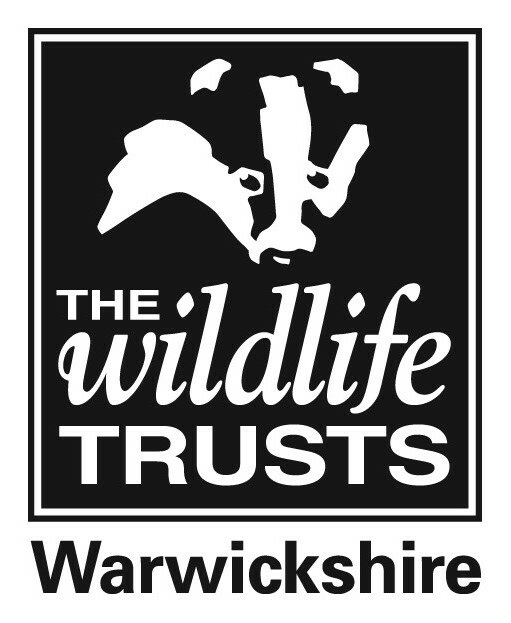 As a project volunteer you will assist the Project/Reserves Officer to maintain and enhance Warwickshire Wildlife Trust reserves. Read our Project volunteer role guideline below. We have current projects to get involved with! We are running practical conservation taster sessions fortnightly on Tuesday mornings (10am - 1pm) from May 2019. If you live locally and are keen to try something new, we would love to hear from you. Everyone is welcome and no time commitment is required. Read our Green and Healthy Ufton volunteer role guideline below. Peregrine Watch has been running since 2013, giving the public a closer view of the stunning peregrine falcons living in our towns and cities. If you have a particular passion for birds of prey then this is an opportunity to share your passion with others. We need your help to enable local people to view Peregrines and learn more about them. You will be the friendly face representing the Trust and helping us to conserve our birds of prey. Read our Peregrine Watch volunteer role guideline below. Interested in becoming a Project volunteer? Fill in our quick contact form. To volunteer with Warwickshire Wildlife Trust you must be aged 18 or over. We occasionally have opportunities for volunteers under the age of 18 but you will need to be accompanied by a responsible adult aged 25 or over. If you have any other questions about health and safety, ours and your responsibilities, how we work, who we work with, or anything else please just ask - we probably have the answer to hand or we’ll do our best to find out. To get a better idea of what it's like to volunteer with Warwickshire Wildlife Trust, have a read of our volunteer profiles.